You and me, can count how many seeds there are in one Orange . 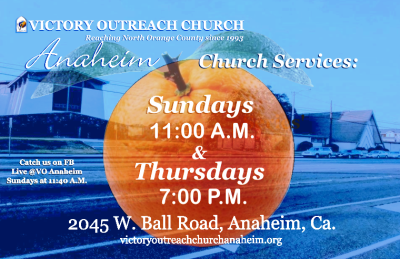 . .
Join us for our Sunday Morning Service with Pastors Elias & Felicia Hernandez. 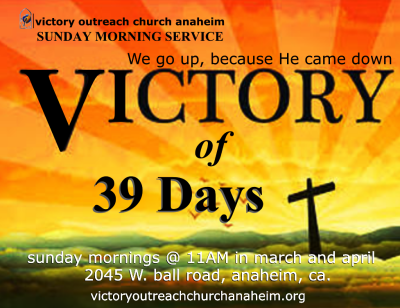 Service begins @ 11AM. You and your family are invited. Expect God to do great things in your life and family! Elias Valverde and the VOA G.A.N.G. 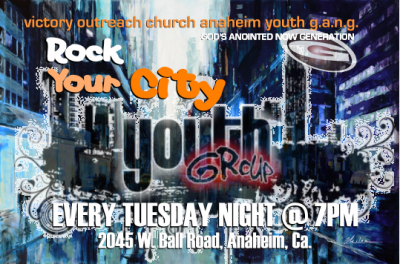 ministry invites you every Tuesday Night for our Rock Your City Youth Service! We meet @ 7:00 P.M. in the Education Bldg. Part of the church. Young person, Young Adult, you and your family are welcome! See you there! The Day Jesus Died, is the Day that changed the world. There was no greater act of Love, than when Jesus died for you and me. Pastor Roy will highlight the Trial, Suffering, Crucifixion and Death of Jesus on the Cross. 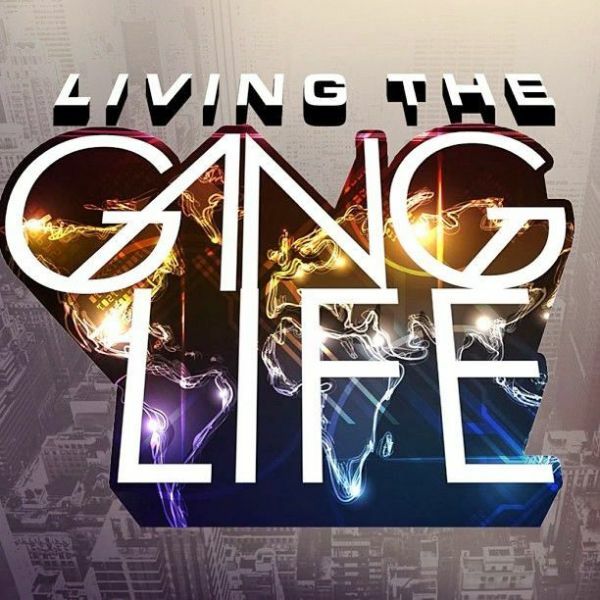 YJJoin our G.A.N.G. , God's Anointed Now Generation group Every Tuesday Nights! Elias Valverde, is our Youth G.A.NG leader. This is for youth and Young adults! From 12 to 35! Yeah Yeah! We believe our generation can make a difference for God. And you are part of it! Join us Sunday Mornings as we document the Steps of Jesus to the Cross. Our study is based in the Book of Mark. This sunday we'll be in Mark 13. Pastor Roy's style is verse by verse, in a simple understandable way. Childcare is provided in each of our services. 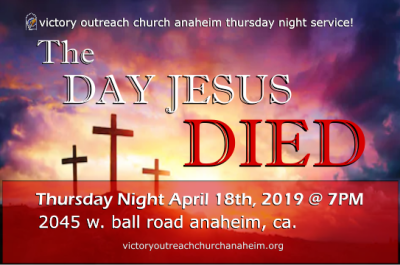 You are invited to our Good Friday service held on Thursday Night, April 18th, 2019 @ 7:00 P.M. Jesus died because He loves us. By Him dying on the Cross He made our lives a Plus, instead of a minus. Tonight ,we will partake of holy Communion, as well as recieve a timely message from our pastor, from Mark 15. YNow you can donate online with our new option for your giving. We have partnered together with Tithe.ly, one of the most secure and popular giving apps in the U.S. Click here to go to our Online giving page for further info. Thank you for your generosity. God bless. 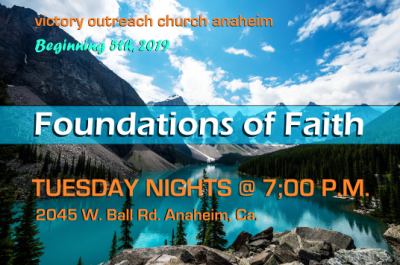 We meet every Tuesday night for our Foundation of Faith classes. Pastor Roy is our instructor. The topics are Systematic Theology, such as Eschatology, Angelology, etc. Pastor Roy breaks it down in a simple, easy to undertsand style. YMarried Couples you are Invited! Men! Join us as we press in to worship and hear from God.